On 2 March 1991, the Kazakh Republic was a constituent member of the Soviet Union. On 2 March 1992, now an independent, sovereign state, Kazakhstan was formally accepted as a member of the United Nations. Looking back, it is hard to appreciate fully the extent of the rupture that separated these dates. During the Soviet era, Kazakhstan was almost entirely cut off from the world beyond the Soviet borders. There were no direct international flights to the Kazakh capital; there were not even direct telephone lines or postal services. All foreign relations were handled through Moscow. Few Kazakhstanis had experience of the world outside the Soviet orbit. Equally, few foreigners from the ‘far abroad’ had first-hand knowledge of Kazakhstan. Direct cooperation between the Central Asian republics was also limited, since the planning and organization of regional projects was directed from Moscow. Thus, when the Soviet Union collapsed – unexpectedly, with no transitional period – not only did the Kazakh government have very little expertise in the field of foreign affairs, but it was a virtually unknown entity in the international arena. The first stage in the formation of external relations was the basic process of establishing the necessary physical infrastructure for the conduct of direct communications. Remarkably, this was accomplished very quickly. Within a few months of independence, there was a growing volume of international traffic to and from Kazakhstan. Airline companies such as Lufthansa, Pakistan International Airlines, Air India, Iran Air and Turkish Airlines introduced direct flights, while new satellite links facilitated telephone communications. Concurrently, there was an urgent need to create the organizational and analytical apparatus to support the development of a robust foreign policy. This, too, was achieved in record time. Ministries with responsibility for foreign affairs and foreign economic relations were formed, a diplomatic service was created and Kazakh embassies were opened in the USA, major European and Asian centres, and in the member states of the Commonwealth of Independent States (CIS). By the mid-1990s, Kazakhstan had established reciprocal trade and diplomatic links with over one hundred foreign countries. It also acceded to the main international organizations. Membership of such bodies was a critical gauge of external recognition and acceptance. After being admitted to the United Nations in 1992, Kazakhstan joined UN funds, programmes and special agencies, such as UNDP, UNHCR, UNESCO, the International Civil Aviation Organization and International Labour Organization. Similarly, it joined the International Monetary Fund and World Bank, and applied for membership of the World Trade Organization (WTO). Also during these first years, Kazakhstan acceded to several non-UN international governmental organizations, such as the Commonwealth of Independent States (CIS); the Organization for the Islamic Conference (OIC); the North Atlantic Cooperation Council (NACC); the NATO Partnership for Peace programme (PfP); and the Organization for Security and Cooperation in Europe (OSCE). Likewise, it joined the Asian Development Bank; the European Bank for Reconstruction and Development; and the Islamic Development Bank. Thus, within a very short period, the young state was firmly tied into major international bodies. This gave it international standing, and at the same time provided a valuable training ground for its senior civil servants, giving them the experience and the exposure to high-level negotiations that would enable them to act with confidence in the global arena. The speed and scope of these developments was in large part due to the professional competence of Kazakhstani officials. However, it was the vision, energy and determination of President Nazarbayev that shaped the policy and gave it momentum. In particular, it was his intensive schedule of official visits to foreign countries that raised Kazakhstan’s profile internationally. A brief survey of his programme in the first five years of independence reveals the truly extraordinary degree of outreach. In 1992, he visited the USA, one of his very first trips outside the Soviet space. In February 1993, he went to Belgium, Austria and Egypt, to Thailand in August, to China and Mongolia in October and to the Netherlands in November. In 1995, the same heavy schedule was maintained, as his travels took him to France, South Korea, India, Indonesia and China. The following year he went to Iran, Malaysia, Singapore, Switzerland, Portugal, India and Australia. In 1997, he visited Turkey, Kuwait, Abu Dhabi, Bahrain, Oman, Germany and the USA (where he had meetings with President Clinton and Vice-President Gore). Meanwhile, during this same period (1992-1997), high-ranking delegations from around the world came to Kazakhstan. They included French President Mitterrand, Iranian President Rafsanjani, Turkish President Demirel, Indonesian President Suharto, Malaysian Premier Mahathir Mohammed, Italian President Scalfaro, Chinese Premier Li Peng and Spanish Prime Minister Aznar – an impressive roll call of foreign dignitaries visiting a very recent addition to the international community. These meetings were not merely ceremonial occasions. Each visit resulted in the signature of protocols and agreements that provided formal frameworks within which to develop public and private sector cooperation between Kazakhstan and the various states. Thus, in a very real sense they served as an engine for pushing forward the country’s foreign policy objectives. This pattern of personal contacts was maintained in the ensuing years, though the programme of visits became more selective and was often linked to specific projects. Strong bilateral relations lie at the heart of Kazakhstan’s foreign policy. The country espouses an ‘open door’ approach to the international community and has established friendly working ties with a broad range of partners around the world, based on principles of national interest and mutual respect. Inevitably, though, there is a degree of prioritization. One of Kazakhstan’s principal relationships is with the Russian Federation (hereafter ‘Russia’). This is not surprising, given that Kazakhstan shares a border of some 7,500 km with its northern neighbour, as well as having a large Slav population. The two countries have mutual interests in many areas, including trade, investment, transport, defence and security. In 1998 Kazakhstan and Russia concluded a Treaty of Eternal Friendship and Co-operation. In May 2008, newly-elected Russian President Medvedev made Kazakhstan the destination of his first official visit abroad, an acknowledgement of the country’s key role in regional affairs. In November 2013 the two states signed an additional treaty on ‘Good Neighbourly Relations and Alliance in the 21st Century’, enhancing their strategic partnership by agreeing to co-operate on a wide range of social, security and foreign policy issues. They also pledged not to take part in any blocs or alliances directed against each other. Kazakhstani-Russian military co-operation continued to deepen. Border issues between the two states have been amicably resolved. In 1998, agreement was reached on the bilateral demarcation of their sectors of the Caspian seabed; in May 2002 a protocol (somewhat amended in 2006) set out the geographical co-ordinates of the modified median line. This provided the basis for the joint development and exploitation of the oilfields that straddle the Kazakhstani-Russian sectors. These include the Kurmangazy field, reckoned to be the fourth largest deposit in Kazakhstan. In 2005 the two states ratified the treaty on the demarcation of their common land border. Kazakhstani-Russian military co-operation has also continued to deepen. Accords signed in 2006 included an agreement on the renting of four military training and testing grounds to Russia. Joint military exercises are held on the territories of both states; furthermore, they are developing a single system of observation satellites. An issue that has caused friction at times concerns the terms and conditions for use of the Soviet-era Baikonur space centre, which is located in southern Kazakhstan but is operated by Russia. However, in June 2005, during President Putin’s visit to Kazakhstan to celebrate the 50th anniversary of the founding of the centre, it was agreed that the Russian lease would be extended until 2050. Accords signed in 2006 included an agreement on the renting of four military training and testing grounds to Russia. They were also developing a single system of observation satellites. Other areas of joint collaboration in space were the use of the Global Navigation Satellite System (GLONASS). In January 2013 the two states signed an agreement on the formation of joint regional air defences, with command headquarters to be based in Almaty. The second vital relationship for Kazakhstan is with the People’s Republic of China. Not only do they share a border of 1,500 km, but at least 1 million Kazakhs live on the Chinese side of the border, in the Xinjiang Uigur Autonomous Region. A bilateral agreement to develop ‘long-term neighbourly and stable relations’ was signed by the Kazakh and Chinese leaders in 1995, and in July 1996 China announced that it had conducted its last nuclear test – a decision that was especially welcome to the people of Kazakhstan who for decades had suffered from the fall-out of these explosions. The final demarcation of the China-Kazakhstan border was settled in 1999. However, in 2008, when Beijing proposed that Chinese farmers be allowed to rent one million hectares of Kazakh land for crop cultivation, there was a public outcry in Kazakhstan, triggered by the spectre of mass Chinese immigration. Another contentious issue was the utilization of trans-boundary water resources. A joint commission was established in 2000 to monitor the situation, but experts are concerned that the Cherny Irtysh–Karamay canal, under construction as part of a plan to develop western China, might have a harmful effect on adjacent areas of Kazakhstan. Significant Chinese investment in the Kazakhstani energy sector began in 1997 and has increased steadily with the construction of oil and gas pipelines. A strategic energy partnership agreement was signed in July 2005. In 2009, the two countries agreed a ‘loans-for-oil’ deal, whereby China made available a loan of $10,000 million in return for oil agreements that give Chinese companies access to several Kazakhstani oilfields. The two states plan a major expansion of bilateral trade and to this end, the China Gateway Project, a major transport complex, has been launched. It includes the construction of some 300 km of railway across southern Kazakhstan to Khorgos on the Kazakhstan-Chinese border. . In 2003, and again in 2010, China and Kazakhstan jointly hosted co-ordinated military exercises of member states of the Shanghai Cooperation Organisation. In 2009, during President Nazarbaev’s visit to Beijing, a ‘loans-for-oil’ deal was signed, whereby China provided a loan of US $10,000m. In return, Chinese companies gained access to a number of Kazakhstani oilfields. On his visit to China in April 2013, President Nazarbaev met with the new Chinese President Xi Jinping, and with the head of the China National Petroleum Corporation; this paved the way for greater Chinese involvement in Kazakhstan’s mining sector. In September 2013, during President Xi’s visit to Kazakhstan, some 20 bilateral agreements were signed; they included China’s acquisition of shares in the giant Kashagan offshore oilfield. President Nazarbaev made a state visit to China in May 2014; one of the outcomes of the visit was a preferential loan of $1,000m. from the Export-Import Bank of China to the Development Bank of Kazakhstan for the modernization and reconstruction of the Shymkent refinery. The timing of these deals, shortly before the signing of the Eurasian Economic Treaty (see below) prompted speculation that China aimed to counter Russian influence in Kazakhstan. Nuclear co-operation was strengthened in June 2011, when an agreement was signed on strategic interaction between Kazatomprom and the Chinese State Corporation of Nuclear Industry. In addition, Kazakhstan agreed to supply fuel pellets to China. Agreements such as these prompted Nazarbaev’s description of China as the `leading investment partner of Kazakhstan’. Bilateral trade in 2010 had exceeded US $27,000m. and both sides aimed to increase this to $40,000m. by 2015. Nevertheless, there were occasional strains in the relationship between the two countries. One concerned the utilization of trans-boundary water resources. In Kazakhstan there were fears that the Cherny Irtysh–Karamay canal, under construction as part of a plan to develop western China, might have a harmful effect on adjacent areas of Kazakhstan. In 2010 China proposed that Chinese farmers be allowed to rent 1m. ha of land in Kazakhstan for the cultivation of crops such as soya and rapeseed. President Nazarbaev seemed to favour this request, since the land was underused, but public opinion was deeply hostile, particularly as opposition parties presented the prospect of mass Chinese immigration. Consequently, the project was suspended. Kazakhstan’s third strategic relationship is with the United States of America. In May 1992 President Nazarbayev made an official visit to Washington, DC, where he signed agreements that laid the foundations for the development of economic, technical, and cultural ties between the two countries. Over the years, despite US concerns about Kazakhstan’s sometimes faltering progress towards democracy, the relationship has remained strong. US companies are among the largest investors in Kazakhstan, particularly in the oil and gas sector. In the autumn of 2001, Kazakhstan demonstrated its support for the US-led ‘war on terror’ by opening its airspace to US military aircraft engaged in operations in the region and allowing emergency landings to be made on its territory. Subsequently, it permitted the transit of non-lethal cargoes across its territory (as part of the Northern Distribution Network) to support the NATO-ISAF mission in Afghanistan. High-level US-Kazakhstan contacts were supported by links in energy, trade and investment, education, scientific, military and technical co-operation, and a range of cultural-humanitarian initiatives. In June 2014 senior officials on both sides confirmed their intention to strengthen the comprehensive strategic partnership. Despite its strong links with the West, Kazakhstan also has friendly relations with Iran. During the Soviet period a few thousand Kazakhs fled to Iran and subsequently settled there. When Kazakhstan became an independent state, both sides were eager to establish good, and mutually beneficial, relations. Plans to build a cross-border pipeline were not feasible while the US Government maintained a hostile attitude towards Tehran, but swap exchange agreements with Iran provided a useful additional conduit for Kazakhstani petroleum exports. The Iranian side, meanwhile, was eager to purchase ‘unlimited’ amounts of Kazakhstani steel and grain. In 2007, during President Nazarbayev’s official visit to Tehran, several important agreements were signed, including one on the construction of a railway line from Kazakhstan via Turkmenistan and Iran to the Gulf States, to form part of the North–South transport corridor. Another notable development was the joint proposal to establish a ‘fuel bank' for nuclear energy on Kazakh territory – an idea which had originally been proposed by the International Atomic Energy Agency in 2005, and was supported by Russia and the USA. (In 2007 the US Administration had allocated US $50m. to the project, which, if realized, would provide a safe source of enriched uranium for use in Iranian nuclear power plants.) The proposal is still on the table, but has not as yet been carried forward. Relations with Turkey began well after Kazakhstani independence, but languished in the late 1990s. In the 2000s, however, there was an upsurge of co-operation in the energy, transportation, construction and ship-building industries. President Nazarbaev’s visit to Ankara, the Turkish capital, in October 2012 boosted the relationship still further, as demonstrated by the adoption of the ‘New Synergies’ joint Action Plan for 2012–15. In 2012 Kazakhstan's investments in Turkey amounted to US $978.1m., and Turkey's investments in Kazakhstan to $859.8m. Links with Arab countries, notably Qatar, were also developing well, with co-operation in trade, investment and joint projects. A relationship that is assuming growing importance is with India. This was given political impetus by Vice-President Hamid Ansari’s visit to Kazakhstan in 2008. Discussions focused on bilateral trade and economic co-operation, particularly in the hydrocarbons sector – a priority concern for India. Co-operation in higher education is also being promoted. In 2009 President Nazarbayev made a four-day visit to India. One of the outcomes was a memorandum of understanding on joint co-operation on nuclear energy-related projects. These were further elaborated the following year during Indian Foreign Minister Krishna’s visit to Kazakhstan. Cooperation was intensified following the successful visit of Prime Minster Modi to Kazakhstan in July 2015. In the early post-Soviet years, relations between the Central Asian states were complicated by economic rivalry and competition for foreign aid. However, Kazakhstan has taken care to build up cordial bilateral ties and is engaged in various joint projects with these states; there is also substantial Kazakh investment in Kyrgyzstan and Tajikistan. Joint bilateral investment funds have been established with both these countries, with Kazakhstan contributing the lion’s share of capital. Yet attempts to form an intra-regional Central Asian organisation have been unsuccessful. In July 1994 Kazakhstan, Uzbekistan and Kyrgyzstan, later joined by Tajikistan, created an embryonic economic and defence union. This alliance, later renamed the Central Asian Economic Union, aimed to foster regional co-operation but made little real progress. In 2001 it underwent another transformation, now becoming the Central Asia Co-operation Organization (CACO). Russia joined it in mid-2004. This merely hastened its demise: shortly after, CACO merged with the Eurasian Economic Community (see below) and ceased to exist as a separate entity. It was a disappointing but not surprising outcome. In 1993, President Nazarbayev had himself commented, ‘Everyone wants to live in his own apartment, not in a communal flat. The same goes for sovereign states’. It is never easy to create multilateral organizations. Even when conditions are favourable, progress can be slow – as the history of the European Union has shown. There must be a genuine convergence of aims, as well as stability, comparable levels of development and a critical mass of human and material resources. These pre-conditions do not yet exist in Central Asia. However, the need for a forum to discuss common regional issues and to coordinate policies has not disappeared. In an encouraging show of unity, the heads of the five Central Asian states assembled in Semey (Semipalatinsk) on 8 September 2006 to sign a treaty creating a Nuclear-Weapons-Free Zone (NWFZ) in Central Asia; the treaty, negotiated over some 10 years under the aegis of the UN, came into force in March 2009. It is in the context of such joint actions that President Nazarbayev has revived the idea of a Central Asian forum. It is unlikely that this will be achieved in the near future, but in the longer term some type of cooperative partnership could well be established. Other important foreign policy developments include Kazakhstan’s Partnership and Cooperation Agreement with the European Union, which was signed in 1995 and came into force in 1999. Links with the Middle East have also been developed, underpinned by agreements on co-operation in trade, investment and joint projects, notably with Egypt, Qatar and Syria. Trade with Turkey, after a slow start, began to pick up in the 2000s, with an emphasis on cooperation in energy, transportation, construction and ship building industries. South Korea is steadily strengthening its ties with Kazakhstan. During President Lee Myung-bak’s visit in May 2009, a long-term agreement worth US $5,000 million was concluded in the energy and technology sectors. Brazilian President Lula da Silva’s visit to Kazakhstan in June 2009, following on from President Nazarbayev’s successful trip to Brazil in 2007, marked the emergence of another up-and-coming relationship. The two countries share common positions on such issues as non-proliferation of weapons of mass destruction, and the strengthening of inter-religious and inter-ethnic tolerance. There are also opportunities for strengthening co-operation in agriculture, mining and energy. In parallel to its policy of developing strong bilateral relations, Kazakhstan has also embraced multilateralism, particularly at the regional level. It has pursued this goal not only as an active member of existing structures, but increasingly has put forward its own initiatives to promote regional cooperation. Again, however, it has consistently maintained equilibrium by creating a network of counterpoises. This was evident in the deft manner in which it balanced its membership of the Tehran-based Economic Cooperation Organization (ECO) with the Ankara-led Turkic Summits. Kazakhstan joined both bodies in 1992. ECO was the outcome of a series of previous alliances between Iran, Pakistan and Turkey. After several years of relative inactivity, it grasped the opportunity provided by the collapse of the Soviet Union to expand its membership to include all the Central Asian states, also Azerbaijan and Afghanistan. A non-political intergovernmental organization, it seeks to promote economic, technical and cultural cooperation within the region. Kazakhstan has played a leading role in ECO, heading the Organization twice (2003-2004, 2004-2006). The Turkic Summits were also initiated in response to the Soviet disintegration. Conceived as an annual high-level event, they were intended to strengthen relations between Turkey and the ex-Soviet Turkic states. As with ECO, the emphasis was on economic cooperation, particularly in the transport and energy sectors. By 2001, however, the Turkic Summits had lost momentum and were suspended. Yet in 2006, understanding the potential of this framework, President Nazarbayev was instrumental in reviving the Summits and setting in motion a process of institutionalization. 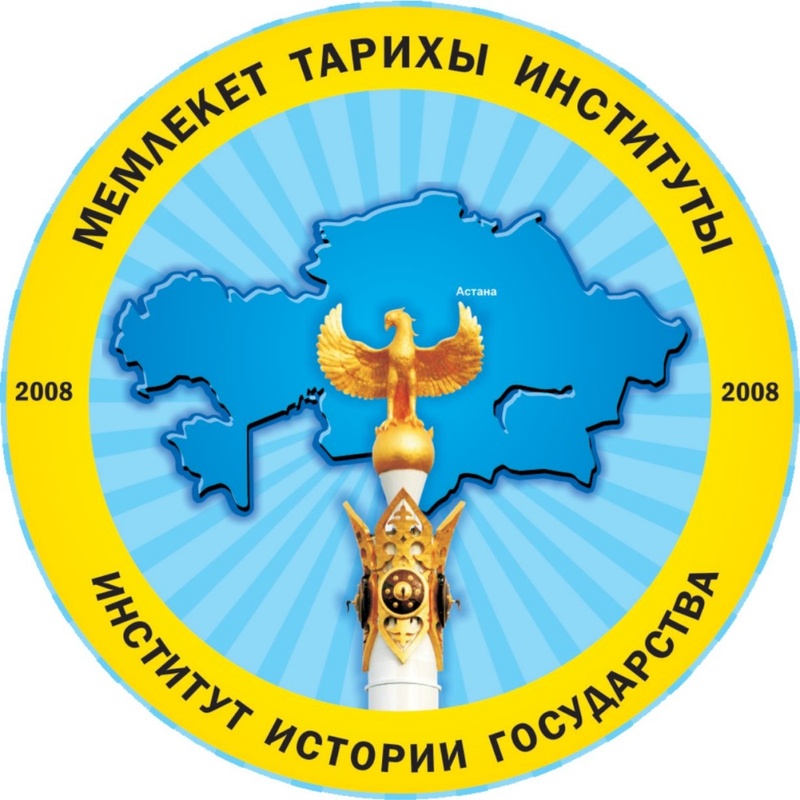 In 2010, this resulted in an agreement to establish the Cooperation Council of Turkic-Speaking Countries (CCTC), with the inaugural meeting to be held in Kazakhstan in 2011. The membership of the CCTC is almost the same as that of ECO, as are the objectives. However, by actively supporting both organizations Kazakhstan is able to play a pivotal role in a managing the relationship between Tehran and Ankara. The Eurasian Economic Community (EURASEC) developed out of an idea for a ‘Eurasian Union’ that was first proposed by President Nazarbayev in 1994. The underlying rationale was the need for closer, more effective economic integration among an inner core of CIS member states. In 1996, Kazakhstan, Kyrgyzstan, Belarus and Russia concluded an agreement on ‘The Regulation of Economic and Humanitarian Integration’; Tajikistan acceded to the treaty in 1998. This formed the basis for the Eurasian Economic Community, which was formally launched in April 2001. The longer-term goal was to establish a single economic space, underpinned by a Customs Union. The immediate task, however, was to create viable decision-making institutions. The highest policy-making organ was the Inter-State Council; President Nazarbayev was elected as its first chairman at the inaugural meeting later that year. Critics of the new organization saw it as a vehicle for reasserting Russian influence. However, the voting system was weighted to ensure that major policy decisions could only be obtained by a coalition of at least three states. In 2005 Uzbekistan joined EURASEC (coinciding with the merger of CACO and EURASEC), but withdrew three years later. Meanwhile, work proceeded on preparations for the Customs Union, overseen by Tair Mansurov, a Kazakh career diplomat who has held the post of Secretary General since October 2007. The Customs Union was inaugurated in 2010. In Astana, on 29 May 2014, Belarus, Kazakhstan and Russia signed a treaty formally establishing the Eurasian Economic Union. It entered into force on 1 January 2015, pending ratification by the respective legislatures (a process which was competed during that year)..
Kazakhstan has also played a major role in the development of the Shanghai Co-operation Organization (SCO). It was one of the founder members of the summit meetings of the so-called ‘Shanghai Five’. This informal structure, which, besides Kazakhstan, comprised China, Kyrgyzstan, Russia and Tajikistan, sought to resolve border issues and to promote confidence-building. In 2001 Uzbekistan joined the group, which was simultaneously transformed into an international organization, entitled the Shanghai Co-operation Organization. One of the benefits of the SCO is the boost it has given to regional trade. Secure intra-regional supplies of energy are also a priority. In January 2007 Bolat Nurgaliev, a senior Kazakh official, succeeded the Chinese representative Zhang Deguang as Secretary-General of the SCO. A unique feature of the SCO is the layered membership structure, which gives flexibility and greater geographic outreach. It has full Members (originally China, Kazakhstan, Kyrgyzstan, Russia Tajikistan and Uzbekistan, and since 2015, India and Pakistan); ‘Observers’ (Mongolia, Iran and since 2012, Afghanistan), also ‘Dialogue Partners’ (first accorded to Belarus and Sri Lanka in 2009, and from 2012, Turkey). The SCO acquired observer status in the United Nations General Assembly in December 2004. Agreements on cooperation and partnership have also been concluded with other regional groupings such as ASEAN (Association of South East Asian Nation), CIS, CSTO and EURASEC. The growing prestige of SCO was further emphasized in April 2010 with the signing of the Joint Declaration on Cooperation between UN and SCO Secretariats. Kazakhstan headed the SCO in 2004-2005, and in 2010-2011. Located in a volatile region, security was an early priority for Kazakhstan. It was one of the founder members of the CIS Collective Security Treaty Organization (CSTO), originally established by the Tashkent Declaration of 1992, then further institutionalised in 2002. Kazakhstan’s commitment to the CSTO and to the development of military partnership with its member states has remained a fundamental part of its national security strategy. This was emphasized by the then Minister of Defence (and former Prime Minister) Akhmetov in April 2007, who stated that ‘a priority for the country is participation in the CSTO’. Kazakhstan has remained an active participant in CSTO administration, command and control structures, likewise in manoeuvres. Kazakhstan joined the NATO ‘Partnership for Peace’ (PfP) programme in 1995. It regularly participates in various training operations and is the lead partner for NATO in the Central Asian region. Within this framework, a NATO information centre was established in Astana in 2004, and in February 2005 a major NATO forum was held in Almaty. Moreover, NATO’s special representative for Central Asian communications and co-operation is based in Kazakhstan. In January 2006 the relationship with NATO was strengthened by the adoption of an Individual Partnership Action Plan (IPAP). Joint activities include regular ‘Steppe Eagle’ military manoeuvres between ‘Kazbrig’ (Kazakhstan Brigade) and NATO member states, with the aim of promoting interoperability. Nevertheless, despite these close ties, Kazakhstan refused to participate in NATO exercises in Georgia in May 2009. This was generally regarded as a show of solidarity with Russia and an implicit criticism of the Western stance in the 2008 Russo-Georgian conflict. A similar show of Kazakhstan’s independent policy was apparent in June 2009, when the NATO Euro-Atlantic Security Forum was held in Astana. The conference, opened by the Secretary General of NATO, was the first such meeting to be held in a former ‘Eastern bloc’ country. Yet to the surprise of many, President Nazarbayev did not attend in person. Overall, the Kazakhstani leadership appeared to downplay the event so as to emphasize that the relationship with NATO, while important, was only one of a range of relationships. Kazakhstan is a member of yet a third security body, the SCO Regional Anti-Terrorist Structure (RATS). In 2001, the Shanghai Convention on Combating Terrorism, Separatism and Extremism was signed, thereby creating a legal framework for regional co-operation in police operations and intelligence information gathering. The SCO Anti-Terrorism Centre was inaugurated in June 2004, with headquarters in Tashkent. In July 2005, at an SCO heads of state summit meeting held in Astana, a counter-terrorism strategy was approved, together with an agreement on mutual assistance in emergency situations. The concluding declaration included a statement noting that combat operations in Afghanistan were over; therefore, in the light of the declared ‘success’ of the US-led coalition in achieving its stated objectives, SCO members jointly requested that it indicate a timetable for the withdrawal of its personnel from bases in Uzbekistan and Kyrgyzstan, since permission to use these bases had only been granted as a temporary measure. This was widely interpreted in the West as a provocative action, designed to show that the SCO would not tolerate the presence of a rival security organization in the region. However, a more sober reading of the statement suggests that it was a legitimate call for clarification of the situation. Far from attempting to establish itself as an alternative to NATO, the SCO did not even have a joint military command. The first official meeting of SCO defence ministers did not take place until April 2006. The annual ‘Peace Mission’ operations that have been conducted by member states in recent years form part of the SCO anti-terrorist campaign and are of very limited duration. Kazakhstan has initiated two regional security projects which deserve attention. One of these is the Conference on Interaction and Confidence Building Measures in Asia (CICA). Launched by President Nazarbayev in 1992, it was envisaged as a trans-Asian counterpart to the OSCE (see below). It seeks to promote regional security by using the ‘soft power’ of cooperation, peace, confidence and friendship. After a lengthy period of gestation, the inaugural summit meeting of CICA was held in Almaty in June 2002; participants included senior representatives from Iran, Israel, India and Pakistan. The agenda focused on regional security threats. However, equally important was the opportunity to hold informal meetings in the margins of the main sessions. This provided opportunities to discuss sensitive issues in an amicable, confidential atmosphere. CICA has now been fully institutionalised, with a secretariat based in Almaty and a number of bodies dedicated to the implementation of specific activities. These include four-yearly summit meetings, also regular meetings of Foreign Ministers and Special Working Groups. The second Kazakh initiative in this field is the tri-annual Congress of the Leaders of World and Traditional Religions. Inaugurated in 2003, it brings together representatives of all the major faith communities. It is another imaginative use of ‘soft power’ to strengthen security by fostering tolerance and dialogue between the different faiths. The second meeting, in 2006, took place in the newly erected ‘Peace Pyramid’ in Astana. In his opening speech President Nazarbayev emphasised the role of religious leaders in enhancing international security, pointing out that ‘Political conflicts can no longer be solved exclusively on the political level’. The congress joint statement called for dialogue to seek ‘what is common rather than what divides us’. Thus, inter-faith dialogue is integrated into a broader security-building framework. This event has become an important meeting place for religious and political leaders, as well as for a wide range of interested governmental and non-governmental organisations. In 2015, Kazakhstan hosted the Fifth Congress of World Religions; participants included the United Nations Secretary-General Ban Ki-moon. In 2010 Kazakhstan assumed the chairmanship of the Organization for Security and Co-operation in Europe (OSCE). The organization comprises 56 member states that together span the northern hemisphere. It concerns itself with a wide range of political, social, economic and security issues. Thus, although it is by definition a regional organization, yet in size and scope it is in effect an international body. Consequently, to secure the chairmanship of this body represented a significant step change in the level of Kazakhstan’s influence and standing on the world stage. Kazakhstan, like several other former Soviet states, had joined the OSCE in January 1992. However, although all members were supposedly equal, there was an implicit two-tier division, whereby some states – the ‘Western bloc’ – occupied a more privileged position than CIS members. Perhaps not surprisingly, there was strong opposition from several Western states to Kazakhstan’s candidacy. The professed reason was Kazakhstan’s poor human rights record. Yet behind the arguments and counterarguments on this issue, there was also a perceptible hint of outrage that an ex-Soviet, Eurasian, predominantly Muslim country should aspire to lead this Western-dominated organization. 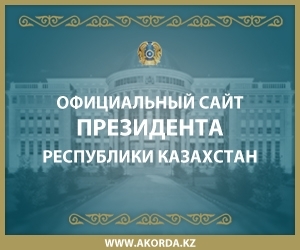 Nevertheless, Kazakhstan persisted in its efforts and in November 2007 succeeded in gaining a unanimous vote in favour of its chairmanship in 2010. In preparation for this, it joined the OSCE ‘Troika’ of past, present and future chairmen in January 2009, and in this capacity, chaired the OSCE Mediterranean Contact Group on Co-operation (comprising OSCE participants, also Algeria, Egypt, Israel, Jordan, Morocco and Tunisia). The following year, shortly after Kazakhstan took over the OSCE chairmanship, it was confronted with a major crisis in neighbouring Kyrgyzstan. In early April, the Kyrgyz capital was engulfed by civil unrest. Government troops opened fire on the crowd, killing 89 people (official estimate) and injuring more than 1,500. Incumbent President Bakiev fled to the south of the county and subsequently resigned; an interim government under Roza Otunbayeva was installed. Kazakhstan, in its capacity as OSCE chairman, joined with Russia and the US to facilitate his evacuation to Belarus. A few weeks later there was more violence in southern Kyrgyzstan and in June, the situation escalated into a brutal conflict between the Kyrgyz and the ethnic Uzbek population. Some 100,000 refugees fled across the border to Uzbekistan and another 300,000 people were internally displaced in Kyrgyzstan. The death toll was officially set at around 400, but unofficial estimates suggested a figure of at least 2,000. Many people suffered serious injuries and the devastation of homes and infrastructure was colossal. The great majority of the victims were ethnic Uzbeks. The OSCE singularly failed to live up to its stated objectives of conflict prevention, crisis management and post-conflict rehabilitation. This was not Kazakhstan’s fault, but a painful illustration of the gulf that lay between institutional declarations and real capabilities. In July, after the violence had begun to subside, Kazakhstan hosted an informal meeting of OSCE Foreign Ministers, during which it was decided to offer the deployment of an unarmed police force in the south of Kyrgyzstan. However, there was strong opposition to this proposal within the country, especially in the area where the police force was to be deployed. It was not till the end of December that a modest advisory police group finally began to arrive. The idea of an independent OSCE investigation into the violence also received a hostile reception. A compromise solution was proposed, whereby representatives of OSCE member states would conduct an investigation, but it would not be officially classified as an OSCE project. Kazakhstan could not single-handedly remedy the weaknesses and shortcomings of the OSCE. It did, however, try to move beyond ‘double standards’ and internal divisions so as to focus more effectively on constructive co-operation in the face of real and urgent threats to security. In particular, it recognised the need for a new, comprehensive vision of security, encompassing the entire Euro-Atlantic and Eur-Asian space. It was largely in order to highlight these challenges that Kazakhstan sought to convene a summit of OSCE members – the first such meeting since the 1999 Istanbul Summit. The final document, the ‘Astana Commemorative Declaration towards a Security Community’, was an anodyne statement of intent. Yet although Kazakhstan did not succeed in accomplishing what it had hoped to achieve, its term of office was by no means insignificant. It brought new energy and a new perspective to the OSCE. Crucially, it had mapped out a vision of what needed to be done if the organization was to be relevant to the needs of the twenty-first century. Following on from its role in the OSCE, Kazakhstan assumed chairmanship of the Organization of the Islamic Conference (OIC) in mid-2011. This is in many ways an even more complex task. The OIC was established in September 1969. An international organization with a permanent delegation to the United Nations, its 57 member states have a total population of some 1.6 billion. They are predominantly drawn from Africa and Asia, but there are also several observer states and observer organizations which extend its reach to Europe. The main purpose of the OIC is to protect the interests and well-being of Muslims worldwide. This includes such aims as preserving Islamic social and economic values; promoting solidarity amongst member states; increasing cooperation in social, economic, cultural, scientific, and political fields; and upholding international peace and security. Kazakhstan, which has a predominantly Muslim population, joined the OIC in 1995. It takes the helm at a time when there are major challenges in many parts of the Islamic world. These include deep-seated systemic problems, as well as current political uprisings, violent conflicts, religious extremism and terrorism, all exacerbated by poverty, unemployment and rising food and fuel prices. There are calls for the OIC to undertake a proactive peace-making role in some of these situations, notably in Afghanistan. Whether or not the OIC will be able to make a meaningful contribution is unclear. What is clear, however, is that it will require all Kazakhstan’s diplomatic skills and experience in international negotiations to steer the OIC through this difficult period. Kazakhstan’s foreign policy has three salient features. Firstly, it is characterised by a broad and balanced range of relationships; despite the pressures and blandishments that have been proffered from all sides, it has refused to be drawn into any exclusive ideological bloc and instead, has maintained good relations with states that have rival or even mutually hostile interests and goals. Secondly, it has followed a policy of constructive engagement, making effective use of bilateral and multilateral instruments. Thirdly, it has shown remarkable persistence in implementing policy objectives, pursuing its goals over long periods and if necessary, overcoming the apathy and even opposition of potential partners. With regard to the planning and decision-making process, President Nazarbayev has personally made a very considerable contribution to the development of Kazakhstan’s foreign policy. His formulation of the ‘Eurasian Doctrine’, with its emphasis on East-West Dialogue, has provided the conceptual basis for a policy of constructive, peaceful engagement. It envisions a complex, integral approach to global issues, cutting across political, economic, military and cultural divisions, thereby achieving greater mutual understanding and reducing tension in the international arena. The leadership exercised by President Nazarbayev has been crucial. It was especially important in the early years, when the newly independent state was still establishing its international profile. The fact that he was able to draw on the support of a well-educated, professional and extremely competent team of civil servants made it possible to implement his vision. Now, a more diversified foreign policy apparatus is emerging and increasingly, senior diplomats are taking a more prominent role in the international arena. Thus, there is a solid foundation on which to move forward. The combination of these factors has made it possible for Kazakhstan to progress with unusual speed and assurance from being a fledgling independent state in 1991, to a significant regional player in 2011. It is now set to broaden its sphere of activity at the international level. The chairmanship of the OSCE in 2010 was the first step in this direction. Its role in the OIC is a continuation of this process. Kazakhstan’s proven ability to engage with many different, competing constituencies gives it a unique opportunity to play a key role in international affairs at the highest level. Its track record suggests that it could fulfil such a role with distinction.